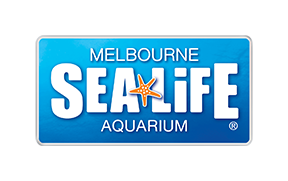 SEA LIFE Melbourne's Shark Dive Xtreme lasts for approximately 1.5 hours including 30 mins drive time, however please allow yourself half a day for this experience as you are required on site prior to your drive, for a compulsory safety briefing. - 11am divers are required onsite at 9:45am for a 10am briefing session. - 2:30pm, 3:30pm & 4:30pm divers are required onsite at 12:45pm for a 1pm briefing session.